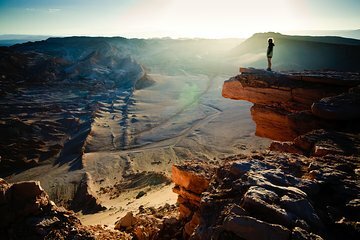 Most visitors to San Pedro de Atacama only see the wonders of the surrounding Atacama Desert on a day trip. Get a more in-depth view on this two-day excursion. Explore the desert's spectacular landscapes, including the Moon Valley and El Tatio geysers, and choose from three different types of accommodation to suit your budget. The tour was well organized. All transfers and busses for the trips were on time. The hotel was very nice.